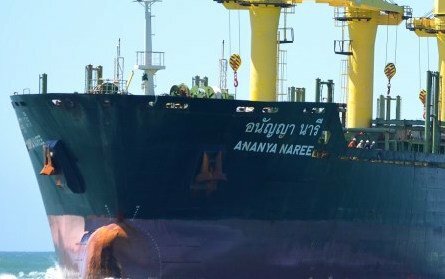 Thailand’s Precious Shipping has sold a 21-year-old handysize bulk carrier for $1.51m as part of its fleet renewal programme. The 1995-built Fonthida Naree (28,500 dwt) was sold on March 10 to a buyer in Singapore, Precious said today in a filing. The vessel’s last AIS update shows the ship was at anchor at Surat, India as of March 14. Although today’s filing made no mention of the vessel being sold for demolition, shipping databases list the vessel as “dead”. In January, Precious sold its 20-year-old handysize bulk carrier Ploypailin Naree for scrap to Pakistani buyers at a price of $1.74m. since it seems difficult that world trade will increase in such degree as to absorb oversupply, scraping and reduced orders is the quickest way for the market to regain balance.